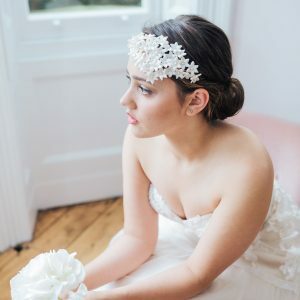 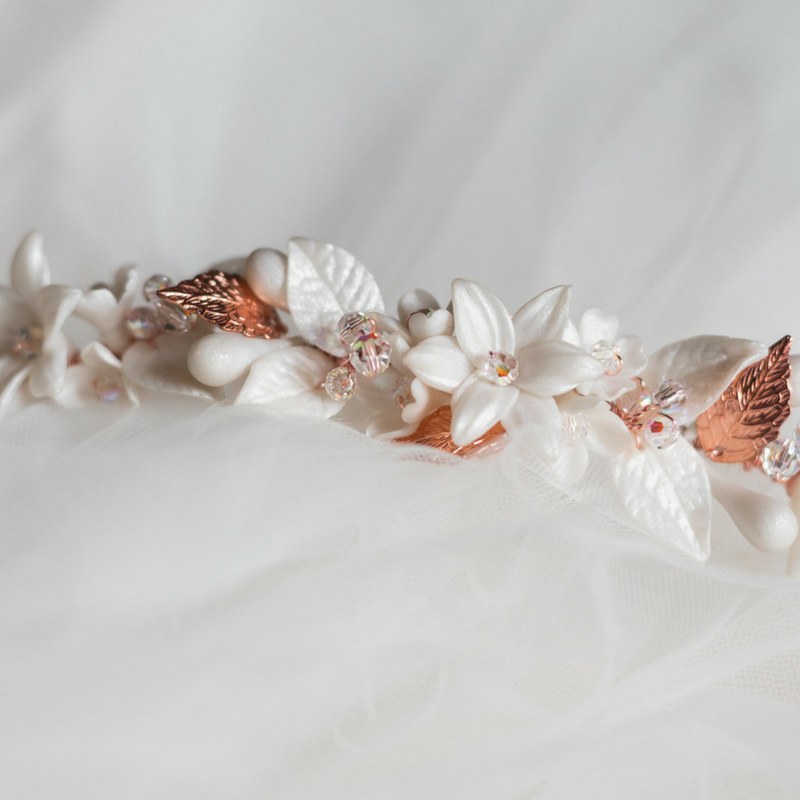 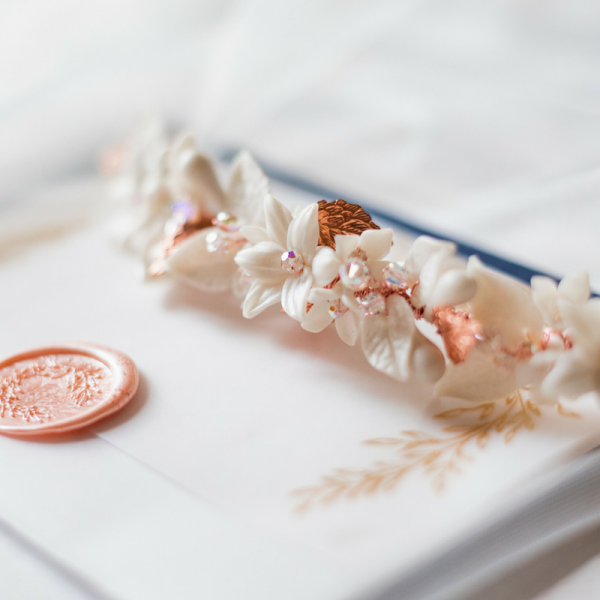 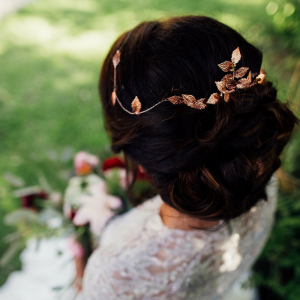 A stunning bridal hair piece, adorned with ivory and silver, gold or rose gold leaves and flowers and genuine Swarovski Crystals- for a subtle touch of sparkle. 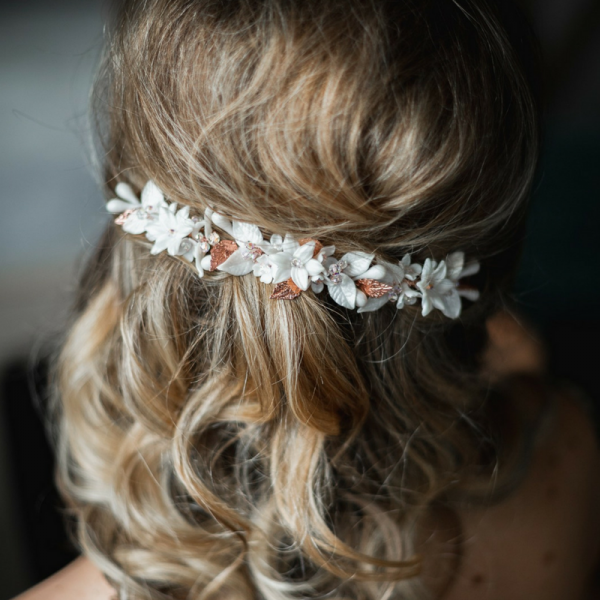 This versatile accessory can be worn in a variety of ways, to suit your hair style. 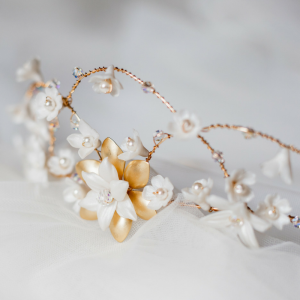 To create the look of a tiara, the piece can be pinned at the front, framing your hairline. 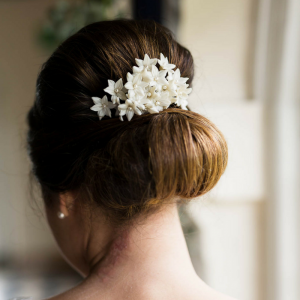 Alternatively, use the piece to accessorise your up-do at the back or side. Materials: Polymer clay flowers, Swarovski Crystals, Swarovski Pearls, silver, gold or rose gold plated leaves, silver, gold or rose gold plated wire.